Announcement Welcome to Dreamlike Magic Designs! 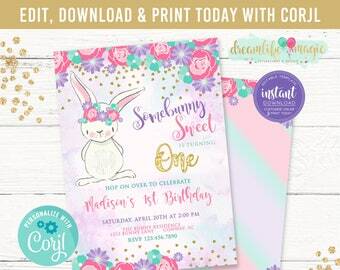 We offer personalized digital and printed invitations for birthday parties, baby showers, gender reveal celebrations and more! We love custom orders, contact us if you can't find what you are looking for! Our shop is open 7 days a week from 9 AM to 5 PM (EST). Orders/correspondence will be processed during that time. All communication is done by email or Etsy convo. 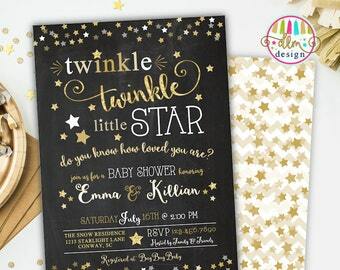 -Invitation proofs are sent within 24-48 business hours if all invite details are provided at time of order. Please contact me prior to your order if you need a photo added, colors changed, text changed, etc to verify that the changes can be done. I do not send proofs or mock-ups of invites prior to a purchase being made. -Birthday Poster proofs are emailed within 24-48 business hours if all information is provided at checkout. Copyright © 2017 Dreamlike Magic Designs | All Rights Reserved. Welcome to Dreamlike Magic Designs! 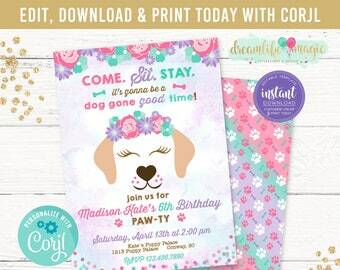 We offer personalized digital and printed invitations for birthday parties, baby showers, gender reveal celebrations and more! 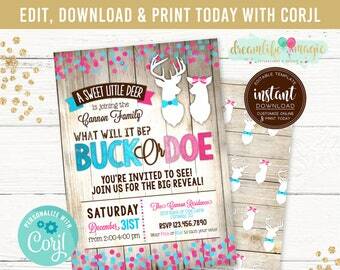 Specializing in printable & printed invites, matching party printables, small business branding, & more! The Inspiring Duo...August & Ava! 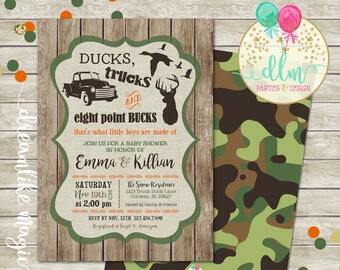 Printed invites are available! 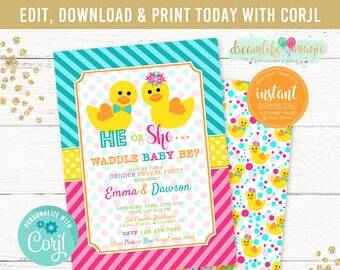 Matching add-ons such as envelope liners and address labels are also available! 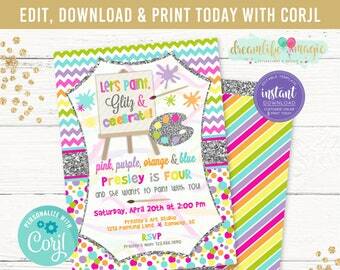 Matching printable party items always available to make your party extra magical! Dreamlike Magic Designs is a graphic design studio that specializes in modern, creative, stylish graphic, web, and print designs for both your business and personal needs. 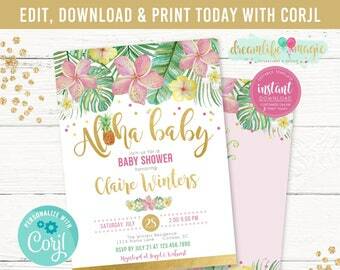 Everything from personalized birthday and baby shower invitations to providing design solutions for Work At Home Parents and small businesses with web sites, blog templates, logo design, business card design, flyers, and more! I'm a work-at-home mommy to two sweet lil' girls! Design is my true passion and I feel very lucky to be doing something I love so much! Dreamlike Magic partners with a professional grade printing company that handles the printing and shipping of our printed products. Welcome to Dreamlike Magic Designs!